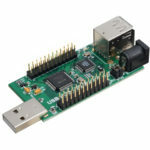 Alpha Micro has added to its range of connectivity offerings with two new FTDI products that address the rapidly growing popularity of the Raspberry Pi computing platform. The TTL-232R-RPi is a USB-to-TTL Serial UART debug cabling solution that incorporates the company’s FT232RQ high performance interface IC. This is complemented by the RPi USB Hub Module, which is designed to connect to an RPi unit and expand the number of interfaces that can be accessed downstream from a host. Released recently, the RPi is a simple, ultra-low cost computer board aimed at inspiring young engineers to learn the fundamental principles of programming. Running the Linux operating system, with a compact format that is the size of a credit card, it utilises a 700 MHz ARM-based processor and has a 256 MByte SDRAM memory. 1m long cable connects directly to the RPi’s serial port. This port will output kernel debug messages to be acquired by the PC. The FT232RQ USB-to-Serial UART interface IC within the TTL-232R-RPi cable provides a USB to asynchronous serial data transfer path capable of supporting data rates from 300 bits/s to 3 Mbits/s at 3.3 V TTL levels. The chip handles all the USB signalling and protocol requirements. “The RPi concept has been incredibly well received by young aspiring engineers and the TTL-232R-RPi enables the RPi user to do a quick and extensive de-bug and analysis of their programming. 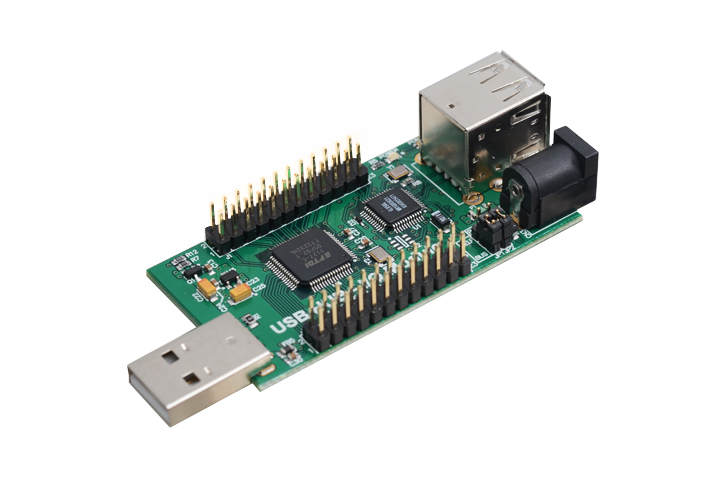 In addition to this, the USB Hub Module gives better flexibility to RPi based system designs. Both of these products really endorse the expertise in USB conversion that FTDI’s engineering team have built up over many years,” said Maxine Hewitt, Marketing Director, Alpha Micro Components. The TTL-232R-RPi debug cable and the Single RPi Hub Module are available August 2012.